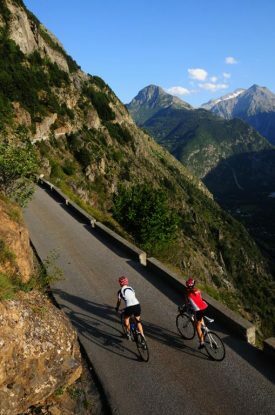 A magnificent drive on one of the most spectacular roads of Oisans (and that’s saying something! ); an amazing technical feat lead to the Route de la Roche being opened in 1902. The first ever road to get to Auris and its hamlets. The construction of this road was synonymous with progress and the end of isolation. Up until 1895 the only way to get to Auris was on foot or donkey by the "chimney" path. After the village of L’Armentier-Le-Haut, the road opens up to a vast horizon! If you’re scared of heights, turn back now! The road is narrow. It is not advised for motorhomes.